Nowadays, music has a positive influence for every one of us. If you’re sad, depressed, tired or angry, music will help you get through all the bad times and will make you feel better and safer. Music is not solving our problems but it’s helping us to get through them easily. I am sure that you’ve already experienced this kind of thing and I am also sure that music has helped you with its healing power. 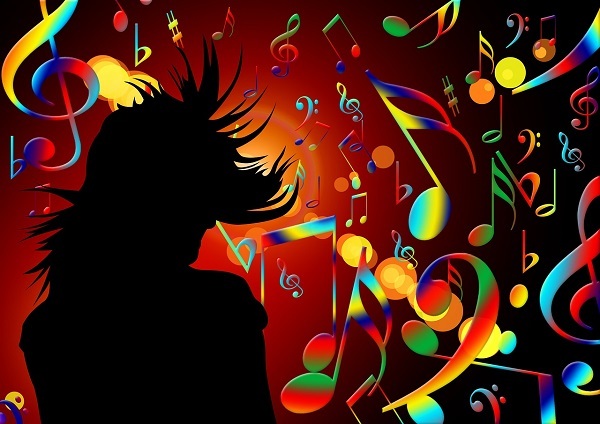 You can completely transform adverse moods with the help of music, did you knew that? While we are at the party, the music should be one of the most important things in there. Fun, not necessarily too loud but harmonious and with the power to make people dance. You agree with me? We would all like to be singers, even if sometimes we don’t admit it. Do you know that moment when you are in love with a song and you imagine that you’re on the scene, the crowd is on fire and you are up to sing your next hit? You want to live the dream too, don’t you? Either if you are organizing a party or you just want to have a fun karaoke night with your friends, all you need is a good Karaoke software that works with your Windows PC or with your Mac. In the next article, I want to show you what are the top software that you must use. The best software is the one that response to all our requirements, it’s free, used by a lot of people and has good reviews. These programs that you must use are the best ones. If you haven’t learned how to play any musical instrument for free, then you will need a song in the background. Either if you are using a tablet, a smartphone, a laptop or a computer PC, it has never been easier. With Karafun you will be able to sing, have a lot of fun and use the most popular Karaoke Software that exists. You can use it with the best music player for PC that you love! Be ready to be the king of the party and make the best karaoke parties in the history. The best part is that you can use Karafun, the pro version, that will help you to be a part of the everyday updated library. 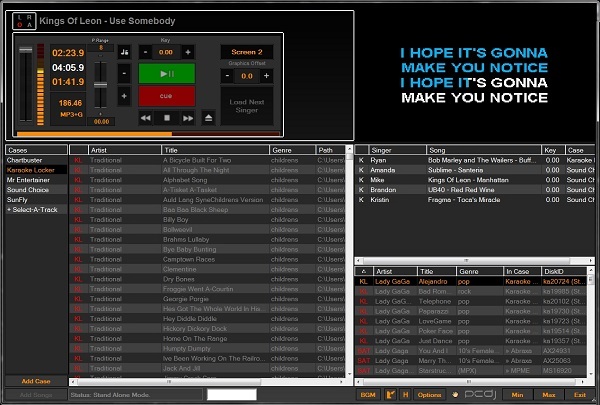 A free, yet powerful karaoke software that you can use on your computer. 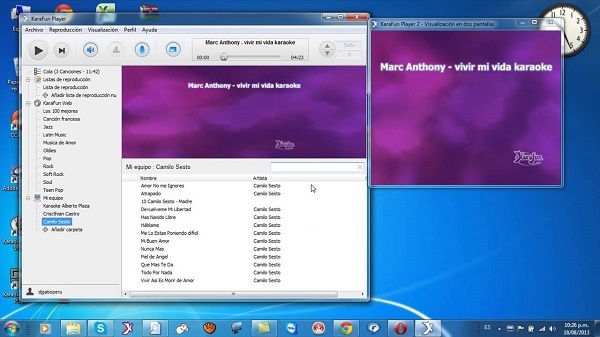 Sing-Magic Karaoke transforms your personal computer into a karaoke playing device. Sounds fun, right? Get karaoke to another level! Forget about organizing in real time all the songs and use PC DJ Karaoki. It will help you enjoy the party. 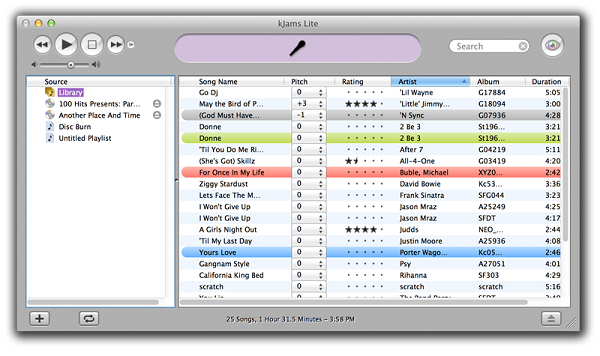 You can add karaoke songs for the entire night, organize them in the way that you want and edit all the options. It is very intuitive, its interface is user-friendly and you will have fun while using it. This is not just a karaoke software. Organize your multimedia contents and use a cool karaoke program to have fun with your friends and family. Two tools in one to help you be organized and to have fun while singing. Birthday party, karaoke night or just a night out with friends? You will need a software that will help you have fun, sing together all your favorite songs and remember the old times! KFams it’s a software for Mac that plays almost any media format and helps you create, sort playlists and search your favorite songs. Enjoy! The best karaoke program for Mac is iStar. If you haven’t used it yes, it is time! Why am I saying that? iStar is the coolest karaoke program that will let you import music to the player. Also, you can create playlists in the way that you prefer them. Let the fun begin! If you’re a karaoke enthusiast, you will love these free karaoke software, either if you’re using Mac or Windows. We hope you have lots of fun while singing!